Would you like to help, heal and share a deeper connection with animals? Have you always wanted to help animals, to bring them some peace, healing and love? Do you work or volunteer with animals, or would you like to? We share a close bond with the animals in our lives and the relationship we build with them can be a source of great comfort to both. However, we can enhance this relationship further through the practice of Reiki, allowing us to support them fully, as they do us. 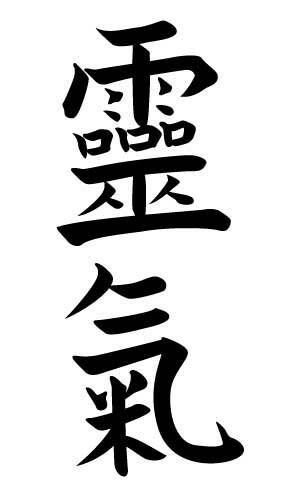 Japanese Reiki is foremost a spiritual practice leading to your own inner peace and a rediscovery of your own true self. This place of harmony is reached internally through a committed and consistent practice of the Reiki techniques taught at each level. It is through internalisation of the practice that we are able to experience the external effects we then see within our own lives and the lives of those closest to us, including those of our animals. Unless we have mastered our own energy and found balance within the world, we cannot join our animals in an open space of acceptance, non-judgment and healing. Have you ever sat in the presence of an animal and felt a deep inner calm descend? Maybe whilst stroking a dog or a cat, or standing together with a horse? This connection, the quietening of our minds and the sharing of space with an animal holds great value and allows us to be fully present with them. When through our Reiki practice we are able to quieten our mind, animals sense it – as anyone who has spent time with horses will know! When we can just be with them, they are able to begin relaxing deeply, allowing their body and minds to heal and trust to grow. When you work with Reiki internally you will begin to see the world differently, and in doing so will change how you interact with all animals. The overall aim of the Japanese journey of Reiki is to become Reiki, allowing Reiki to be part of your everyday life as opposed to solely a healing practice, and in this your relationship and connection with all animals will deepen. This connection can be reached not only with our closest animal companions but also with wild and farm animals too – and is especially effective building trust and healing trauma within rescue animals, where it can be used to calm a stressed or anxious animal. Reiki can also be used to support healing or maintain health and to help an animal transition peacefully. We teach Japanese animal Reiki in the style pioneered by Kathleen Prasad – Let Animals Lead TM, which adopts the strategy of allowing the animal to choose how he/she receives Reiki, which may be hands off or hands on. Our Shoden and Okuden courses are available as full 2-day courses for those who have not studied Shoden and Okuden Reiki, or as 1-day workshops for those who have. The Japanese meaning for Shoden is beginner or first teachings. This level teaches you how to practice healing the self and the basics of helping your animals and others. This is the first stage of building a Reiki practice into your life and starting on the path of self-discovery. Through these practices you will learn to share a deep connection and healing space with your animal. The Japanese meaning for Okuden is hidden or inner teachings. It is at this level that you really begin to delve deeper into the teachings of the energetic practice of Reiki and how to use this deepening experience to help your own animals and those of others. You will learn symbols and mantras, enabling you to learn and experience the Japanese energetic system of earth, heavenly and heart energy. This level also allows you to develop a professional Animal Reiki practice. The Japanese meaning for Shinpiden is mystery teachings. This level is truly about a lifetime personal development practice, increasing the animal connection you share and healing space you create. It teaches you how to become an animal Reiki Teacher, enabling you to perform attunements and reiju. You will also learn a much deeper and philosophical understanding of Reiki and how you relate to the rest of the universe.